Art Factory Palermo i Buenos Aires, Argentina: Bestill nå! Welcome to Art Factory Palermo ! Located in the very heart of the trendiest, cosmopolitan and hip neighborhood in the city - aka Palermo - our house is an old mansion providing the perfect mix between comfort, bohemian lifestyle and art. Home of the best nightlife, restaurants, pubs and clubs, Palermo is the favorite choice of tourists. It's a multicultural, safe and clean area that the locals choose to live in as well. You will be able to choose between private rooms with en suite or shared bathrooms, and dorm rooms with 4 to 14 beds. All the ingredients of a great hostel are included in the rate: WiFi internet, coffee, tea and juice served all day, fully equipped kitchen, linen, luggage storage, front desk available 24-hours, book swap, etc. 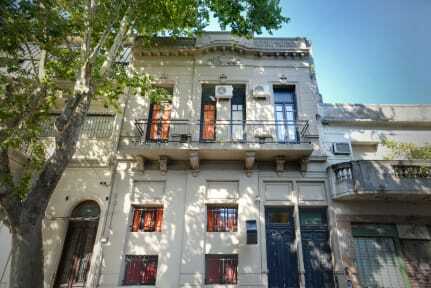 We are here to help you have the best experience of your stay in Buenos Aires. We have all the info, tips and secrets of the city and we are happy to share them with you. Cancellation policy: 24 h before arrival. I really enjoyed my stay in Art Factory. 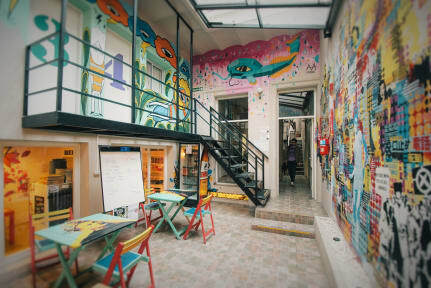 After returning to Buenos Aires this is the best hostel I have been to so far! The rooms are clean, beds are comfortable, breakfast is good, price is reasonable and location is perfect, but most of all the staff is so lovely! The guys in the reception are all so helpful, friendly and with good humor. The ladies who prepared the breakfast are lovely and cheerful and the ladies cleaning the rooms always met me with a smile and a greeting. I will return!